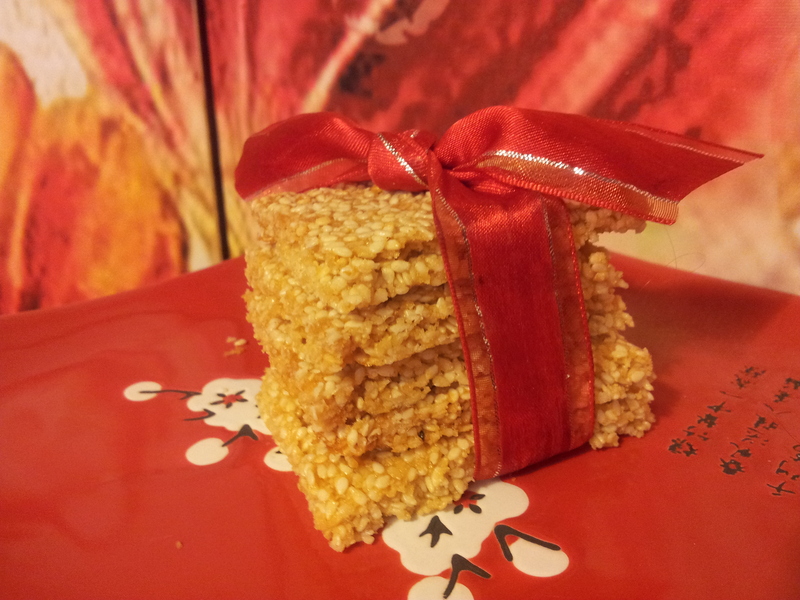 A lovely snack and easy to make! 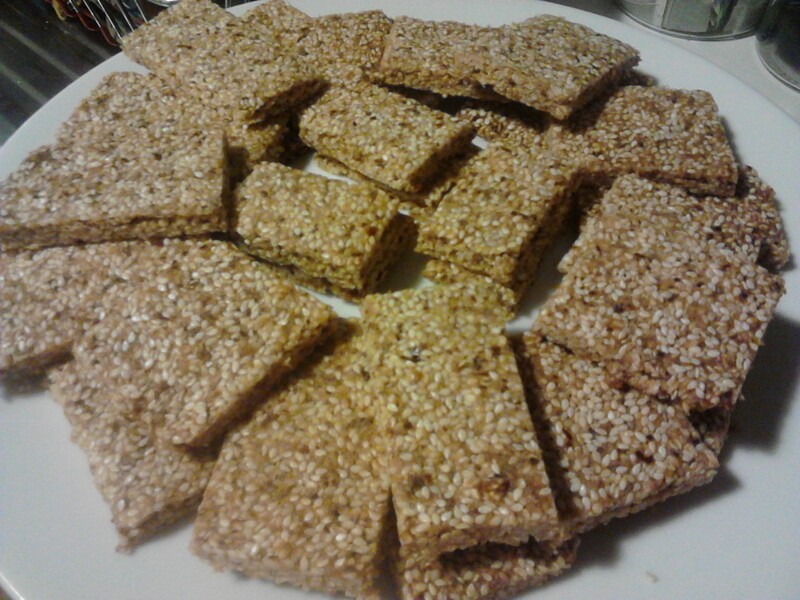 A favourite snack that you can make at home! This is a twist on the popular sesame snap but the recipe is easily modified to have a more traditional flavour. 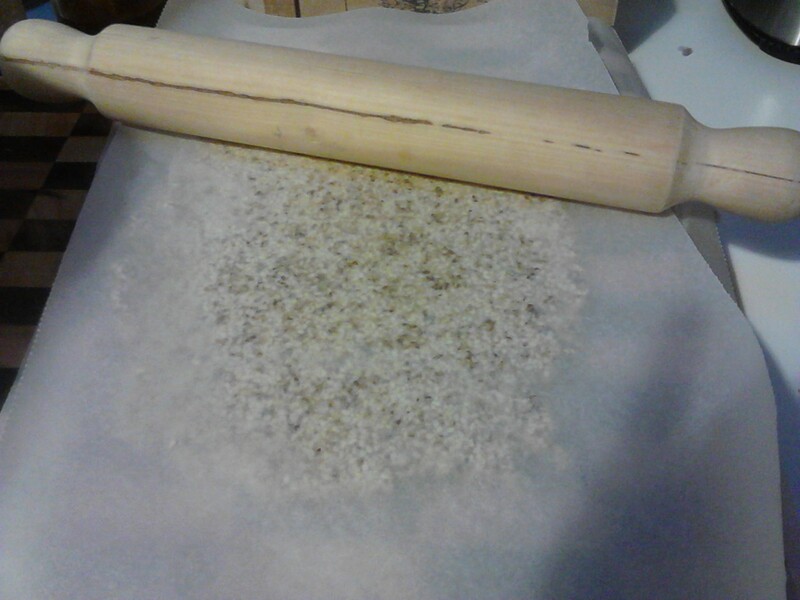 The original recipe is from ‘The Merrymaker Sisters” website and l have modified it by adding in poppy seeds and cinnamon. This is a very quick and easy snack to make and they can be kept in the freezer to add to lunch boxes. 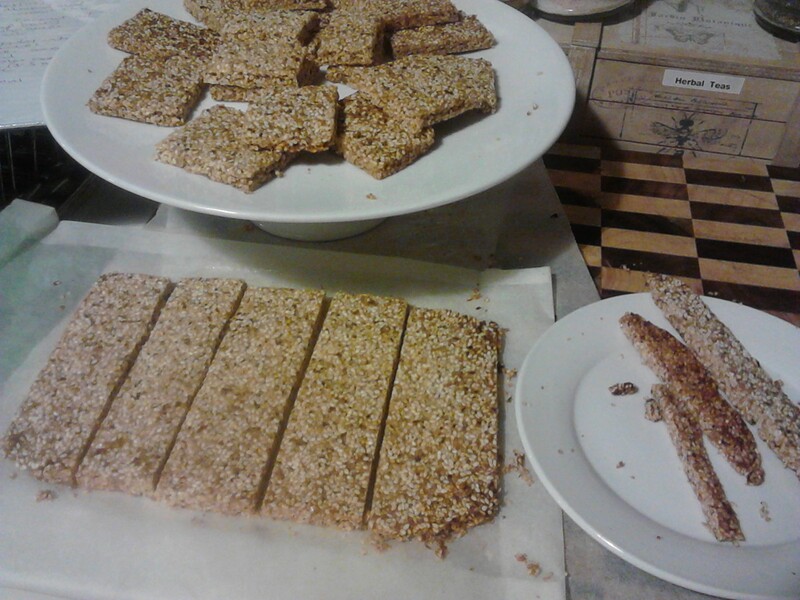 Note: If you want a traditional sesame snap leave the poppy seeds and cinnamon out and use 2 cups of sesame seeds. Mix all ingredients together in a bowl. Place half of the mixture onto a piece of baking paper and cover with another piece of baking paper. Roll out carefully to flatten. Gently roll the mixture so it is even. Roll the mix to about 1/2 a centimetre. Remove the top paper and use a knife to straighten the edges and then re-roll. Do this for the other half of the mixture. 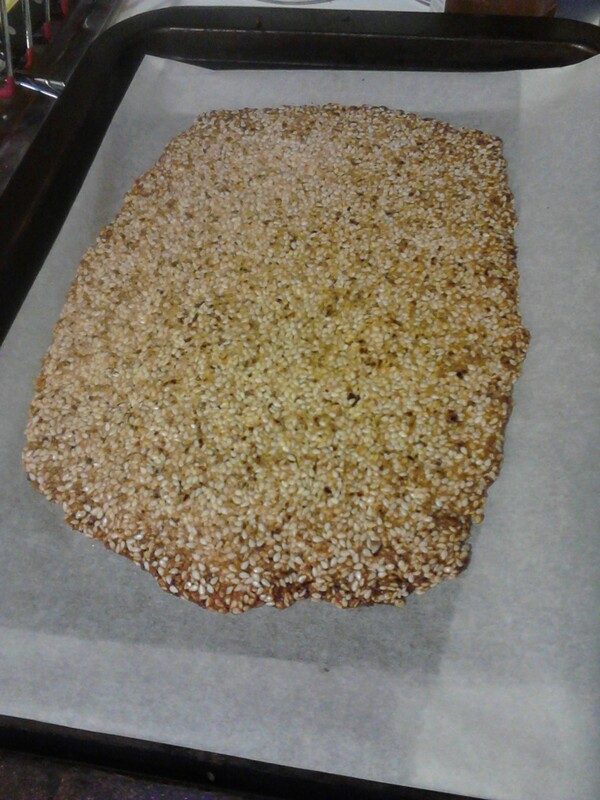 Bake the sesame snaps in a 180 degree celsius oven for approximately 10 minutes or until golden. 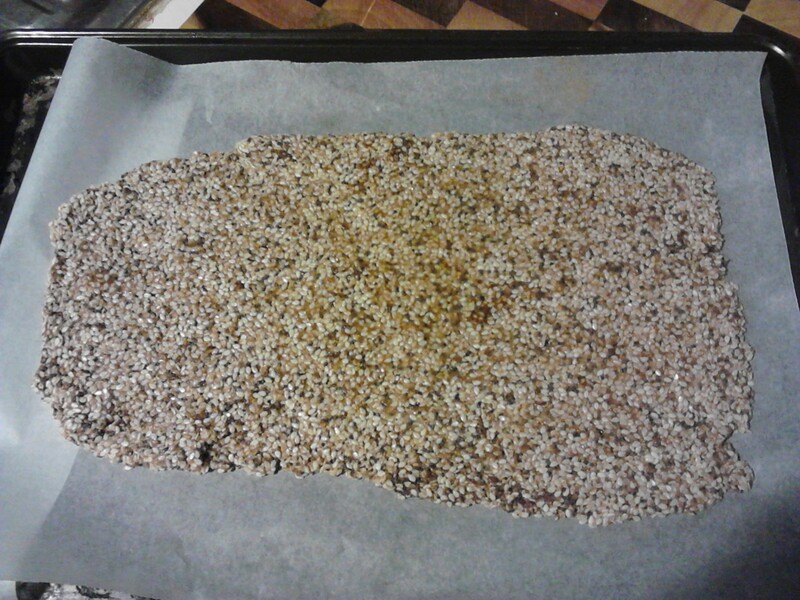 Let the sesame snaps cool for a short time and then lift off the tray by grabbing the edges of the baking paper. Place on a flat surface and using a sharp knife cut the edges off and then cut into rows and then smaller pieces. 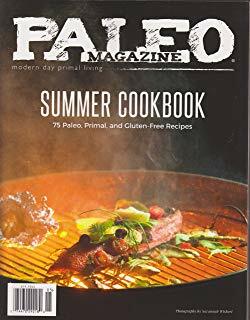 Use the edges to taste test your cooking. 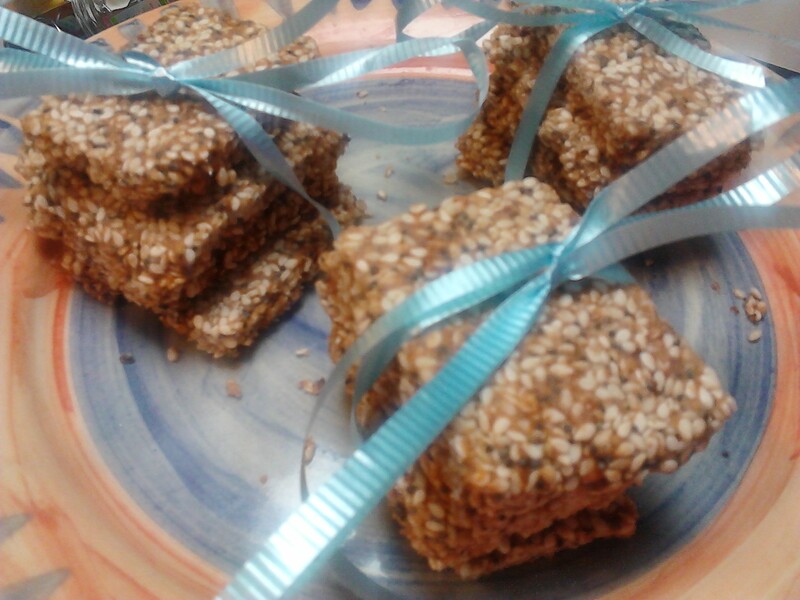 These are the plain sesame snaps. Once cooled they can easily be stored in the freezer and are a handy snack. It is a good idea to make your own snacks if you can as this ensures that you know exactly what is in the food you are eating. There are no nasty additives, colours or flavours in these bars, and this is a great way to eat healthier.